Kavanaugh accuser Christine Blasey Ford, who claims — without any evidence — that Kavanaugh inappropriately touched her at a drunken party while in high school, turns out to have ties to an abortion pill pharmaceutical company called Corcept Therapeutics. This discovery brings to light an obvious conflict of interest in Blasey’s story, revealing that she works for a pharmaceutical company that manufacturers an abortion pill drug, whose profits could be strongly impacted by future Supreme Court decisions on abortion rights. 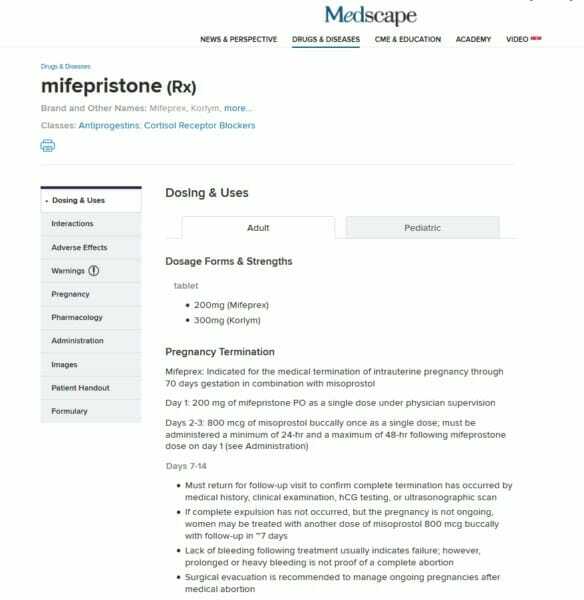 Corcept Therapeutics (Corcept.com) manufacturers and markets an abortion pill drug called mifepristone, and Christine Blasey Ford is a co-author of at least eight published scientific papers produced by the pharmaceutical giant to promote its pills. 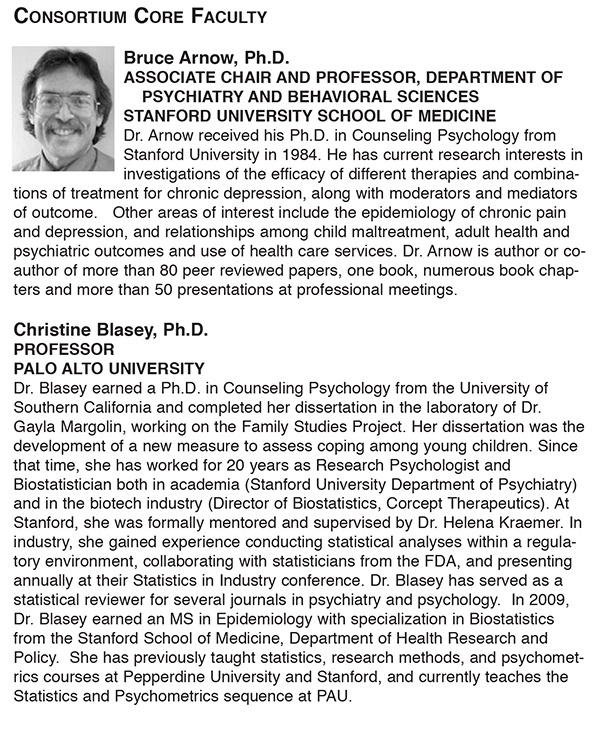 You can see Blasey’s name listed on several publications at this Corcept.com web page detailing their research papers. Like all FDA-approved drugs, mifepristone is frequently prescribed off-label, meaning doctors prescribe it for conditions that it has never been approved to treat. It is well known throughout the medical industry that doctors routinely prescribe this drug to terminate unwanted pregnancies. It is a covert “abortion drug,” in other words. If Kavanaugh were to be confirmed on the U.S. Supreme Court and be part of a decision that overturns Roe vs. Wade, it would make the prescribing of Corcept’s drug for abortion illegal, directly impacting the bottom line profits of the company for which Christine Blasey works. The Corcept company even issues a strong warning about its abortion potential on its marketing website, offering the “warning” as a wink, wink message to doctors that this is actually an abortion pill. Mifepristone is a potent antagonist of progesterone and cortisol via the progesterone and glucocorticoid (GR-II) receptors, respectively. The antiprogestational effects will result in the termination of pregnancy. 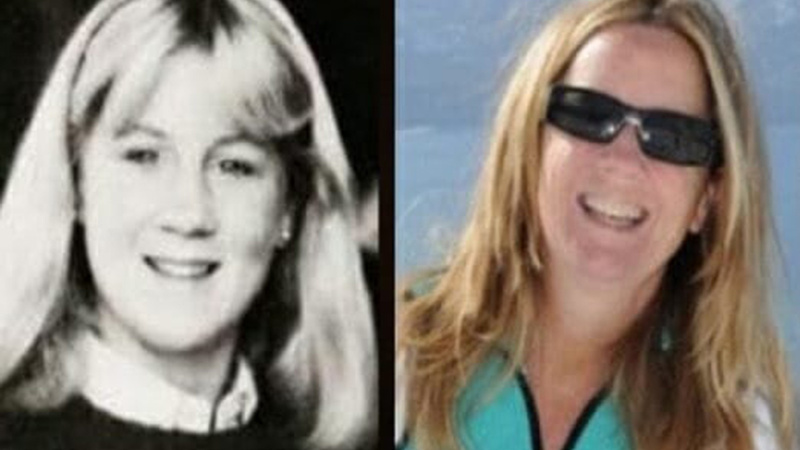 Christine Blasey Ford, whose middle name is Margaret, is known as “Blasey CM” on the science papers she’s published with Corcept Therapeutics. The reasons for Blasey working so hard to scrub her own history are obvious: Even while she claims that Kavanaugh’s history should be researched and brought to light, she didn’t want anyone looking into her own history, including her wild, alcohol-induced party days and her ties with Corcept Therapeutics and its abortion pill drug profits. Efficacy and safety of mifepristone for the treatment of psychotic depression – this study seeks to support the use of mifepristone as an antidepressant drug, demonstrating that Blasey is also engaged in Big Pharma’s pursuit to push more drugs for mental health disorders. 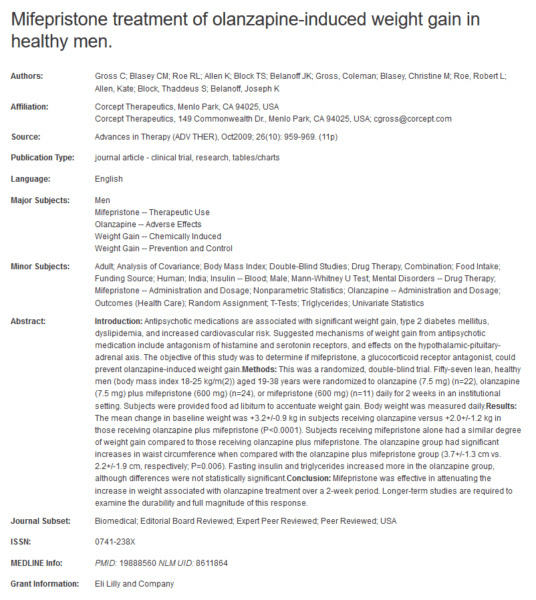 Some of Blasey’s colleagues in this pharmaceutical research include Coleman Gross, Dr. Henry Fein, Dr. T. Brooks Vaughan III and Dat Nguyen. What’s clear is that Corcept is working to aggressively expand the approved uses of its drug, obviously in an effort to increase prescriptions and profits. According to the left-wing media which has proven itself to be an activist propaganda network that opposes all conservatives like Kavanaugh, Christine Blasey’s story is a simple case of an alleged sexual assault in high school. Despite the fact that Blasey herself says she cannot remember where or when this alleged assault occurred, we are all told her allegations are instantly credible because she’s a woman (and because it’s popular to hate conservatives). What we’re never told, of course, is that Christine Blasey works for a multi-million-dollar pharmaceutical company that manufacturers an abortion pill drug. The company is aggressively seeking to expand the FDA-approved applications of its drugs to encompass cancer, depression treatment and very likely abortion itself. Thus, the financial future of this company could be heavily impacted by abortion remaining legal in the United States. Brett Kavanaugh is widely feared by Democrats because they believe he may be a pivotal decision maker that could theoretically overturn Roe vs. Wade, the Supreme Court decision that legalized abortion nationwide. Notably, this decision was never debated in Congress, and Congress passed no law legalizing abortion. Over the years, Democrats have found that their cultural demands are very often rejected by the due process of lawmakers, and Democrats have come to rely heavily on Supreme Court decisions to achieve their demanded goals of legalized abortion, legalized gay marriage, legalized Obamacare and other issues which cannot withstand the scrutiny of reasoned debated by lawmakers. Thus, the Supreme Court has been the Democrats’ “hammer” to drive through its priority achievements, even when Congress would reject such ideas. Now, having Kavanaugh on the court represents a dire threat, they believe, to abortion “rights.” In turn, this represents a threat to Corcept Therapeutics, the drug company at which Christine Blasey has worked for years, helping to produce research that expands the company’s market reach and drug applications. Now it all becomes clear: Christine Blasey clearly fabricated the false allegations against Kavanaugh in order to protect her own income and profits coming from an abortion pill drug company whose future may be impacted by Kavanaugh’s confirmation to the court. Blasey’s accusation flies in the face of literally hundreds of other men and women who have personally endorsed Kavanaugh as one of the most respectful, ethical and gentlemanly individuals they’ve ever met. Now we know why Blasey’s accusation against Kavanaugh is so out of character for Kavanaugh: Because Blasey has a financial motivation to defeat Kavanaugh and keep him off the U.S. Supreme Court. After all, potentially billions of dollars in Corcept profits are on the line. And Blasey has the advantage of being able to level a hazy, baseless allegation that is impossible to refute and impossible to investigate (which is why even the FBI has refused to launch an investigation into the alleged incident). Share this story. All Americans need to know the truth about Christine Blasey and her ties to this abortion pill drug company. Now the true motivation is clear. Democrats and Big Pharma are trying to block a supremely qualified Supreme Court nominee for their own dishonest reasons, and they have come up with a completely baseless, desperate allegation as a last-ditch “Hail Mary” effort to overrule the country even when they lost the election.